What do our faces say about us — and how much of what they say is fair? 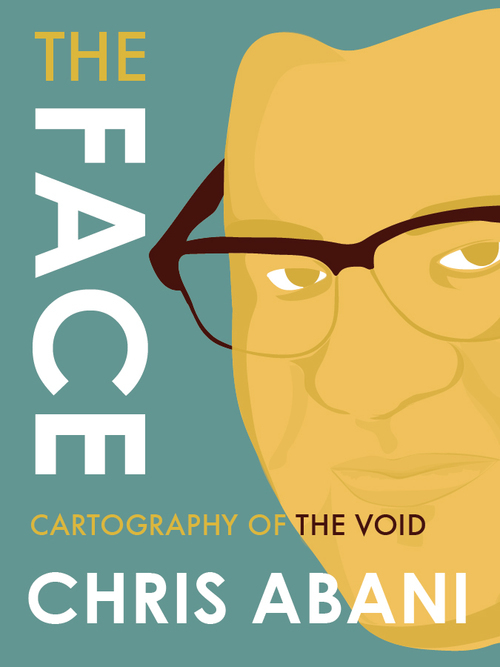 That’s one of the questions posed by Restless Books’s intriguing new series The Face, in which writers use their own countenances as launchpads into the imaginative stratosphere. We are promised “unique perspectives on race, culture, identity, and the human experience”, and in Chris Abani‘s Cartography of the Void, part of the series’s inaugural triptych (along with short works by Ruth Ozeki and Tash Aw), we’re not disappointed. Abani is the son of an English mother and an Igbo father, and was raised in Afikpo, Nigeria. Put another way: “Biologically my face is a mix of two races, of two cultures, of two lineages.” On one side, there’s the Celt or Anglo-Saxon influence of the matrilineal line; on the other, the Egu and Ehugbo influence passed through his father. Like many people of mixed-race origin, Abani often experiences feelings of alienation depending on where he is. He’s “firmly black, of unknown origin” to Westerners, yet “not entirely African” to people in Nigeria. Everywhere he travels, he is the Other that fits: “In New Zealand I was assumed to be Maori. In Australia, Aborigine. In Egypt, Nubian. In Qatar, Pakistani.” He is the subject of inexplicable hostility from the LAPD. Little wonder that he should so often consider his heritage. Most troubling to him on that front is his complicated inheritance from his father. “If I print a transparency of a photo of my own face in my 20s and lay it over his, it is possible we would look nothing alike,” he writes. “It is possible we would look exactly alike.” This genetic anxiety — are they alike or different? and how? — is what provides the fuel for Abani’s brief but profound immersion in the mysteries of identity. In thirty-nine short statements under the heading “This is true”, Abani describes his father in the terms of an impossible jigsaw puzzle. “My father tried his whole life to be a good man… My father made strangers laugh… My father was the first university graduate from my town…” But also: “My father beat my mother. Often. I still carry the guilt of my helplessness… My father loved me even though violence was his preferred mode of affection… My father tried to self-medicate, but the alcohol only made it worse.” Perhaps most worrying: “My father’s face stares back at me from the mirror”. (This isn’t paranoia; many members of his family have remarked on their resemblance.) What does this mean for Abani? The question of whether one can escape one’s DNA is often asked in the context of cycles of violence: will I drink as he did? will I beat my wife? Here, instead, he contemplates the deeper soul-effects of having the ghosts of your forebears peering back at you from your own reflection. Abani’s two TED Talks, “Telling Stories From Africa” and “On Humanity“, have racked up more than 1.2 million views better them. 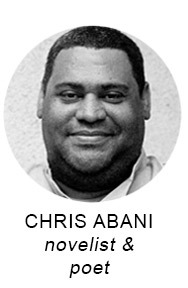 AND you can see Chris Abani at House of SpeakEasy’s Seriously Entertaining event When Strangers Meet at Joe’s Pub at The Public Theater on June 13, 2016. Buy tickets here.